Bedtime Stories is a sound installation made up of 3 enclosed ‘bed’ cubicles which the audiences lie down in to listen to stories of people talking about what happened in their basements during the war. During the 1425 day siege of Sarajevo, the longest siege of a capital city in the history of modern warfare, people spent a lot of time in the small storage basements of their apartment buildings taking shelter from the constant attacks. Many families emptied their old stuff from these basements and transformed the cramped spaces, into which they could just fit a bed, into sleeping rooms. Most of the spaces had wooden bars instead of doors. These basement communities created their own survival systems and sets of rules. Adaptation and solidarity were essential as people shared their food, clothes and had to invent solutions, find alternatives and pull together to survive. 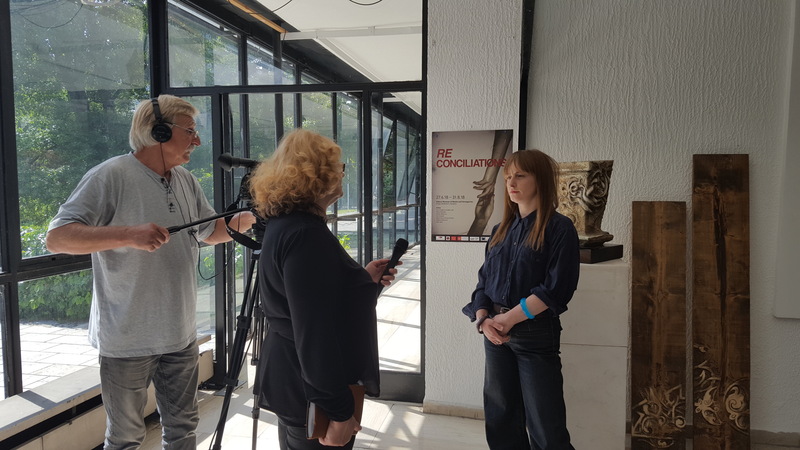 Čmajčanin and Jušić collected stories from people they knew and met with and the interviewees were free to tell the first story that came to their mind relating to these basements spaces during the war. The final testimonies are overlapped with music and audiences members lie down within the enclosed bed cubicles, comfortable and peaceful, to listen to the stories that tell of the bare struggle of basement war life and testify to the resistance, resilience and creativity that people harnessed to survive day to day life in besieged Sarajevo. Bedtime Stories has been shown Sweden, Croatia and Slovenia but had never been exhibited within Bosnia. It will become part of the permanent collection of the History Museum of BiH. Return to the Commissions main page.